May 2, 2019 – Mayan Theatre, Denver, CO.
this May 2nd performance while they last. Use DaVinci Code: mayan at checkout! 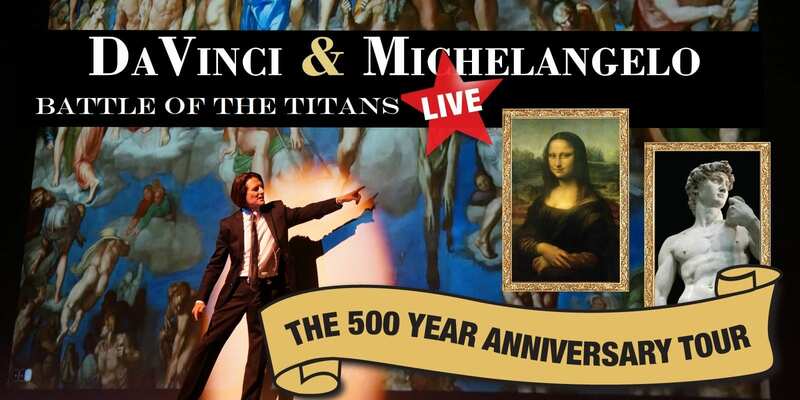 An Awe-Inspiring, Non-Stop, One-of-kind, Multi-Media “Live” Theatrical Performance as seen through the eyes of these two titans. Mayan Theatre – Denver, CO.
May 5, 2019 – Scottish Rite Masonic Temple – Denver Consistory – Denver, CO.